The company’s AEC-Q100-qualified wireless power transmission control IC (BD57121MUF-M) is combined with STMicroelectronics' NFC reader IC (ST25R3914) and 8-bit microcontroller (STM8A series). The combination complies with the Qi standard supporting extend power profile (EPP) and enables the charger to supply up to 15W of power. The multi-coil design enables a wide charging area that provides some spatial freedom in vehicle applications (2.7x greater charging range compared with single coil configurations). Users do not need to exactly align the smartphones to the charging area in order to be able to charge wirelessly. The Qi wireless charging standard has been adopted by the European Automotive Standards Group (CE4A) for vehicles, and by 2025 it is predicted that most cars will be equipped with Qi-based wireless chargers. NFC communication provides user authentication to allow Bluetooth/Wi-Fi communication with infotainment system, lock/unlock the doors, and allow-engine start. 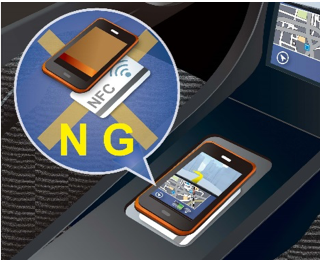 NFC also enables vehicle setting customisation for multiple drivers such as seat and mirror positioning, infotainment pre-sets, and navigation destination pre-sets, explains the company. A sample reference board, BD57121MUF-M,will be available in April that will allow users to configure a wireless charger for automotive use compatible with the latest Qi standard (EPP), when combined with the Qi certified receiver board (BD57015GWL-EVK-002) already available.